Our Auctions are followed nationally by ESPN, CNBC, Bloomberg, Fox Business, and many other prominent media outlets. Every Goldin Auctions event is full of exciting material for the sports collector. 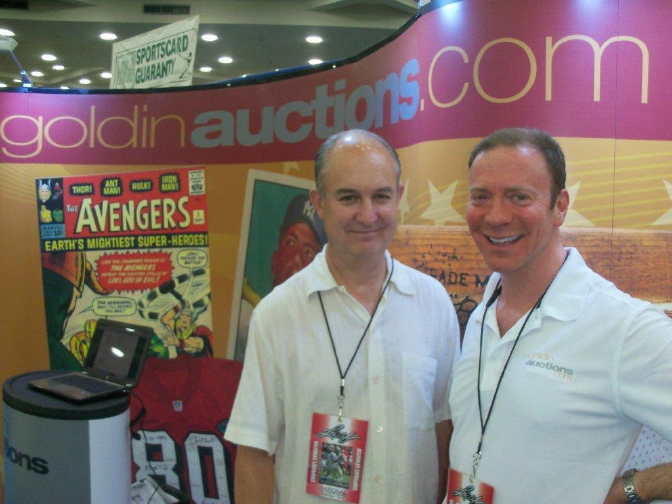 Our management team extensively markets and promotes our auctions not only within the collectibles hobby, but also to a vast, worldwide audience through a variety of demonstrably successful marketing channels. Our Catalogs feature the industry's highest percentage of "fresh" items that have never before been offered for public sale. These are typically acquired through our exclusive contacts among agents, athletes and the owners of historic collections. 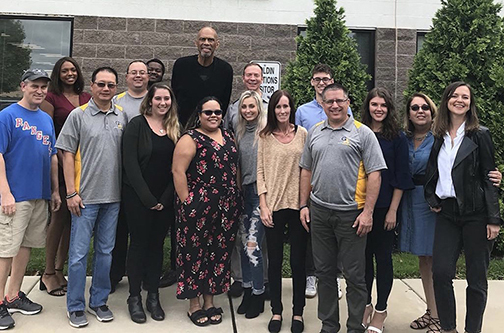 A small sampling of outstanding player collections we have handled includes Kareem Abdul-Jabbar, Mike Schmidt, Joe Montana, Andre Dawson, Barry Bonds, Mike Singletary, Michael Strahan and Bernie Parent. 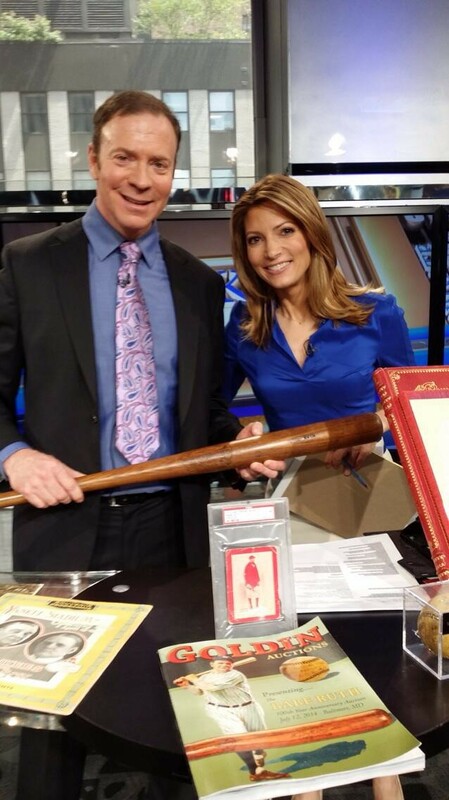 Goldin Auctions is the official auction company of The Naismith Memorial Basketball Hall of Fame and the Babe Ruth Birthplace Museum and we are also the Official Auction House of the Jackie Robinson Foundation. Our clients will interact with knowledgeable and accommodating staff at all levels of service, and we take pride in quick shipment of all items. 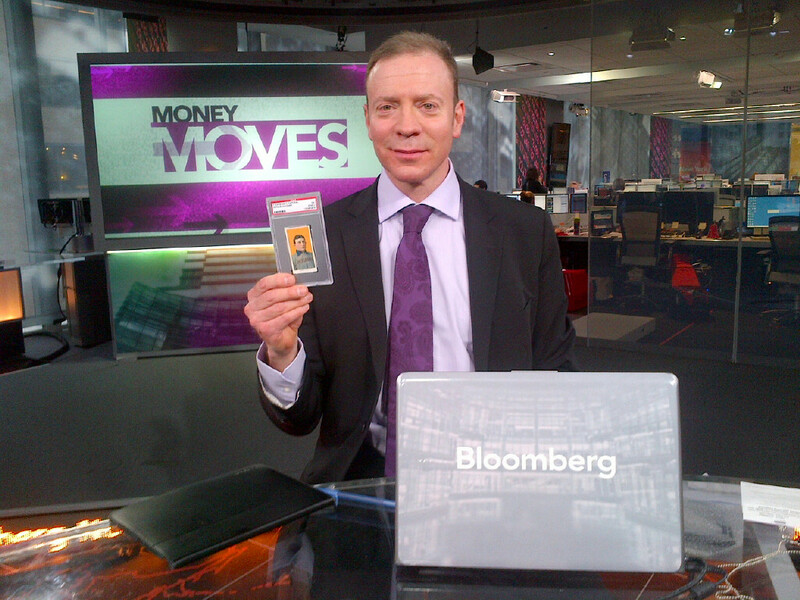 We use industry leaders for all authentication. Please register today, to participate in the sales of the highest-quality game used items, autographed pieces and trading cards in the collectibles industry. Our Founder Ken Goldin has been actively involved in collectibles since he was 11 years old in the 1970s, and placed his first advertisement at the age of 12. At that young age he developed an appreciation and keen eye for sports memorabilia and other collectibles and was a contributing price guide analyst for several publications in his teens. 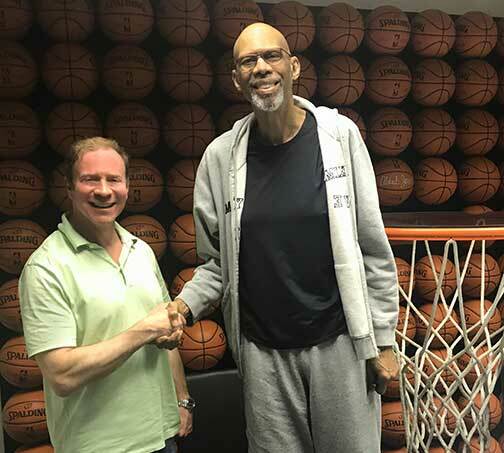 In the field of sports collectibles Ken has been credited for bringing the very best material to the masses by marketing on television and other media for over 20 years. In his career, Ken has sold over $600 million in the field of sports cards and memorabilia combined, a figure we believe to be by far the highest in the auction industry. Ken has signed to autograph agreement virtually every key figure in sports over the past 50 years including Mickey Mantle, Joe DiMaggio, Ted Williams, Muhammad Ali, Joe Montana, Emmitt Smith, Troy Aikman, Brett Favre, Shaquille O’Neal, Kobe Bryant, Willie Mays, Hank Aaron, Stan Musial, Magic Johnson, Wayne Gretzky, Mario Lemiuex, Dale Earnhardt, Cal Ripken Jr, Barry Bonds, Ken Griffey Jr, Alex Rodriguez, Nolan Ryan, just to name a few! In March 2005 Ken was named one of the 20 most influential people in the sports collectibles industry at the industry’s annual trade conference. Ken was an editor and price guide contributor on the industry’s first autograph handbook, The Sports Collectors Digest guide to autograph collecting. Ken was behind one of the most famous “finds” of the hobby, the famous warehouse find of over 50 cases of unopened 1951 Topps Baseball card blue backs and red backs. He has also sold three of the famous “Holy Grail” T206 Honus Wagner Baseball cards (including the only known uncut strip), Ken’s extensive knowledge, history, and contacts outside of the hobby will enable us to bring tens of thousands of unique items to auction in the future. Steve has been active in buying and selling cards for many years, going back to his high school days. More recently the head of the respective card departments at two major auction houses, he left that post at Legendary Auctions in 2014 to assume the mantle at Goldin Auctions. He has handled numerous high-dollar consignments (including the sale of the famed Dreier Collection) and has become highly regarded as a consultant for serious PSA Set Registry enthusiasts. A South Side Chicago native, Steve still works on selected non-sports card projects of his own, and maintains a fascination for poker playing, American muscle cars, and Superman collectibles. Rick Berger currently acts as Consignment Director. He most recently worked as Director of Development for the Museum of Sports project coming to Philadelphia in the near future which will be home to the world renowned DePace sports memorabilia collection. With appearances on NBC Sports Philadelphia, 97.5 The Fanatic, and Sports Radio 94.1 WIP, Rick was one of the faces of the project entrusted with keeping the sports fans of Philadelphia updated on the process. He also worked along side former Mayor and Governor Ed Rendell, and former Flyers executive Lou Scheinfeld raising funds for the Museum. A lifelong sports fan, he also interned for the Philadelphia Eagles and Sixers before joining the Goldin Auctions team. Frank DiNote began as Controller of Goldin Auctions in the fall of 2016 after spending years working in the NFL for the Philadelphia Eagles and running sports/entertainment venues for world renowned management group Spectra Business. Frank brings a dozen years of financial management experience to the Goldin Auctions family, along with a burning passion for sports. In addition to handling all financial transactions for the company, Frank is heavily involved in consignment and operations as well, working in each aspect of the company. Not a normal accountant, Frank views customer service as one of the primary areas where a company can set itself apart from competitors and takes great pride in always being available for Goldin Auctions bidders and consignors.